The most affordable choice for your Tianjin cruise port to Beijing transfer, in an air-conditioned coach. Price is only 49usd/person only! Beijing is around 175 kilometers, or about 2.5 hours drive, northwest of the Tianjing Cruise Port. There is a bullet train between Tianjin and Beijing, and there are also taxis for hire in the area. A taxi trip all the way to Beijing will cost more than 500 yuan. You could also take a taxi to Beijing South Railway Station, then catch the bullet train to Tianjin. This will cost several hundred yuan. 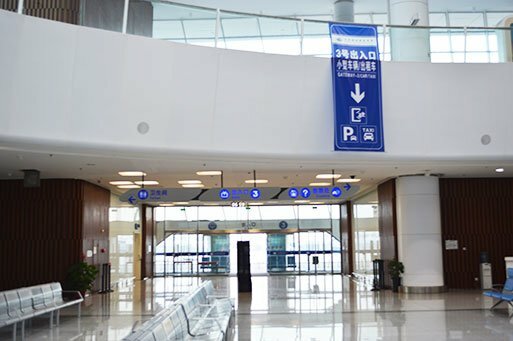 We offer the most affordable alternative with our air-conditioned coach for your Tianjin cruise port to Beijing transfer, because you can share the cost with other travelers. If you are not part of a large group, get in contact with us so we can fit you into another group of travelers. Our staff arrive at the port on the day before your arrival, this allows us to wake up well-rested, bright and ready to meet you. Because we are first to arrive at the dock, you won’t have any trouble finding us. We have secured a prime spot right next to Exit 3, holding up a sign so that you can see us. Our bus will depart with half an hour of your arrival at the port. If you need a more urgent transport, ask us about a private car, which can take you immediately. During the journey on our shuttle bus, you can feel free to ask the tour guides any questions you think of about China. These guides have plenty of experience showing visitors around the attractions of China, so they are sure to have some good tips and recommendations for you. Our bus will take a route around the major hotel precinct in Beijing, which covers most of the accommodation in the city. If you are staying at a more uncommon place, such as accommodation booked on AirBnB, we can organize a taxi to meet you at the closest drop off point. Including transfer between sea terminals, train stations, hotels and airports we can organize almost any transportation that you will need during your China tour. We also have a myriad of tours available around the country to suit your taste, with hotels and transportation available. If you are looking for a travel agency that offers a no-fuss ‘all in one’ solution to planning your entire holiday, you’ve found the right one here! 06:30 – Our coaches and privates cars will arrive at Tianjin port and the tour guides will go inside the lobby to meet you. 07:00 – You will exit the waiting hall via Exit 3 and easily spot our tour guides holding a flag with the company logo. 07:30 – The private cars will leave immediately, while the luggage is loaded on to the buses. 08:30 – The first bus leaves for Beijing. 09:15 – Our second bus for later arrivals also leaves for Beijing. 10:30 – The two private cars have arrived in Beijing by this time. 11:30 – The first bus arrives in Beijing by this time. Exits 1 and 2 of the waiting hall are for passengers who have to collect their luggage from a special room. Our clients can leave directly via Exit 3. Don’t be dismayed when you don’t see us inside the waiting hall. Tour guides are not allowed to enter the waiting hall and must wait outside at the exits. We will be for you right outside Exit 3. We will stop directly at the following hotels: Novotel Peace Hotel Beijing , Beijing International Hotel, Prime Hotel and Crowne Plaza Beijing. These other hotels are also within walking distance of a drop-off point: Renaissance Beijing Wangfujing Hotel, Regent Beijing, The Peninsula Beijing, Park Plaza Beijing Wangfujing, Red Wall Garden Hotel, Legendale Hotel Beijing, The Peninsula Beijing, Lee Garden Service Apartments, Sunworld Hotel, Waldorf Astoria Beijing. There is no currency exchange at the Tianjin port, however taxis and hotel porters will accept US and Hong Kong Dollars. Also, many ATMs and hotels will accept your credit card. There are no shops at or around the port within a 10km radius, and the closest hotel is around 15 minutes drive away. At the information desk near Gate 3, where you will be entering the waiting hall, there is an information desk where you can access disability services such as renting a wheelchair. The parking lot for coaches is near Exit 1, whereas the private cars, vans and taxis will be parked near Exit 3. It is possible to get a taxi all the way to Beijing, which will cost around $250 USD. You must be careful though, because there will be unlicensed drivers posing as legitimate taxi operators waiting outside the port. Ask us to arrange a taxi for you. This quite little station is a 20 minute drive by taxi to Tanggu Railway Station (塘沽火车站). Be sure to buy tickets far in advance, as they will be sold out when a large cruise liner is entering town. This station is about an hour’s drive away, and it can be difficult to bring your luggage through the station. Trains depart to Beijing from this station every few hours, and there is a special counter for Beijing tickets.